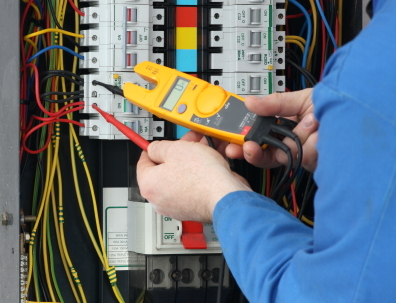 DO YOU NEED AN ELECTRICIAN OR ELECTRICAL CONTRACTOR IN EAST NORTHPORT, NY? When you get the service of an electrical contractor you need to make certain that you are getting the very best, and that choice is easy when you go with the professionals at Sure Line Electric Group. There are plenty of electrical contractors out there, but few have the commitment to quality customer service that Sure Line Electric has. When you call on one of our professional electricians, they will arrive in uniform, on time, and will conduct a free consultation and assessment before beginning the work. Our electricians and Northport electrical contractors are all properly certified as well as insured, and have the right tools to handle any electrical repair, maintenance, installation. You can expect the best in professional service from us at all times. We are even available for your emergency repair needs year round! When it comes to choosing your East Northport electrician, you needn't look any further than Sure Line Electric. Your panel box is an exceptionally important part of your home's electrical system, and as such you need to make sure that you have tone suited to the needs of your home. If you don't have the right kind of panel box, you could be seeing an unnecessary increase to your monthly electrical bills. Recently installing new major appliances can often put too much drain on a smaller box, and in this case, or if your existing box is simply old, an upgrade may be the answer. By conducting a panel upgrade you can increase your energy efficiency, allowing all your appliances to receive a steady flow of electricity while reducing the overall demand it puts on your panel box. If you think you might your electrical panel might be in need of replacement, see about scheduling a visit from a licensed contractor. If you have recently noticed problems with your home's electricity, such as malfunctioning outlets or a lack of sufficient power for your devices, you need to schedule a routine Northport electrical inspection. An electrical inspection is a necessary measure of preventative maintenance that will locate any problems that your home electrical system is currently suffering from, enabling you to find the right solution. Faulty wiring is one of the number one leading causes of house fires, and is one of the major reasons that you should make certain that the wiring in your home or business is up to code. With a visit from Sure Line Electric we will make certain that all of your wiring is functioning properly, and give you an assessment of our maintenance recommendations.